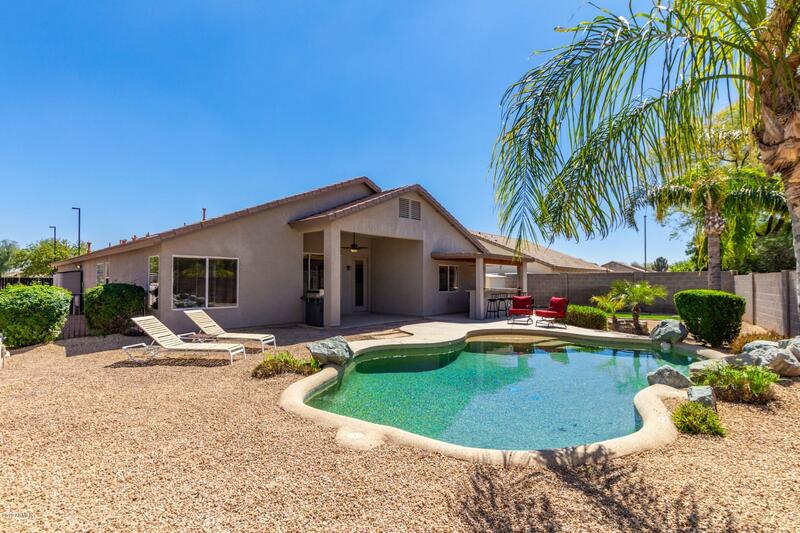 All ASHLAND RANCH homes currently listed for sale in Gilbert as of 04/19/2019 are shown below. You can change the search criteria at any time by pressing the 'Change Search' button below. "This beautiful home on a large corner lot in coveted Ashland Ranch has been well-maintained and updated by original owners and offers 3 bedrooms + den & bonus room & 2.5 baths in 2797 SqFt with formal living/dining and separate family room with gas fireplace. The spacious eat-in kitchen has an abundance of oak cabinetry, newer stainless appliances, granite countertops, island with breakfast bar, built-in desk & walk-in pantry. Sliding doors lead out from the family room to a huge backyard! Y"
"One owner. Great home for those with toys and trailers. Oversized lot with two RV gates (14+ feet on each side of the home) Privacy with no two stories around the home. Xtra large 3 car garage with 4 foot extension. Garage has air conditioner; evap cooler; ceiling fans; upgraded lighting; and epoxy floor coating. Alarm system. Self cleaning pop up head Pebble tech pool with rock waterfall, and pool chiller to keep water cool in summer. 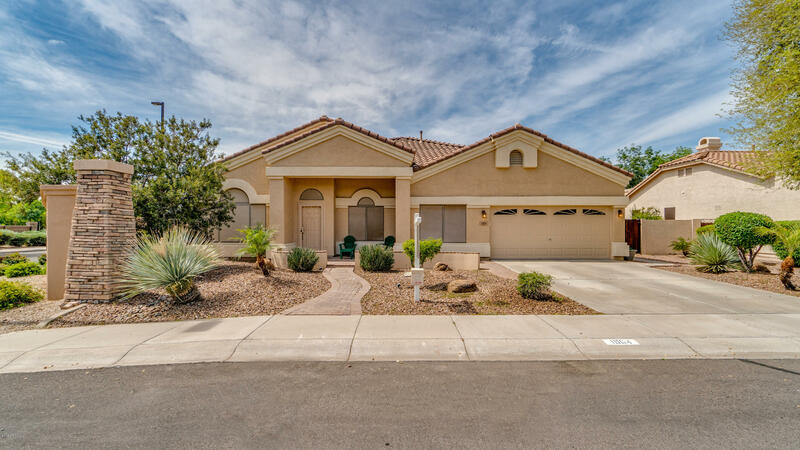 Extra covered outdoor patio area with granite top bar, fridg"
"Spacious single level 2698 sqft home in Gilbert! 10' ceilings! Formal and informal living and dining! Large air conditioned Sunroom addition! 4 bedrooms PLUS den with built in cabinets and window seat! 2.5 baths! Wood Shutters! HUGE master bedroom with his and hers closets! Everybody Loves the kitchen with breakfast bar and walk-in pantry! New dishwasher..Sparkling Pool with waterfall, in-floor cleaning and new pump and filter! Corner lot near community park and Ashland Ranch Elem school! Kids w"
"Stunning 5 bedroom, 3 bath, 4 car garage home located in the highly sought after Ashland Ranch community, preferred dining, shopping, and entertainment all minutes away. 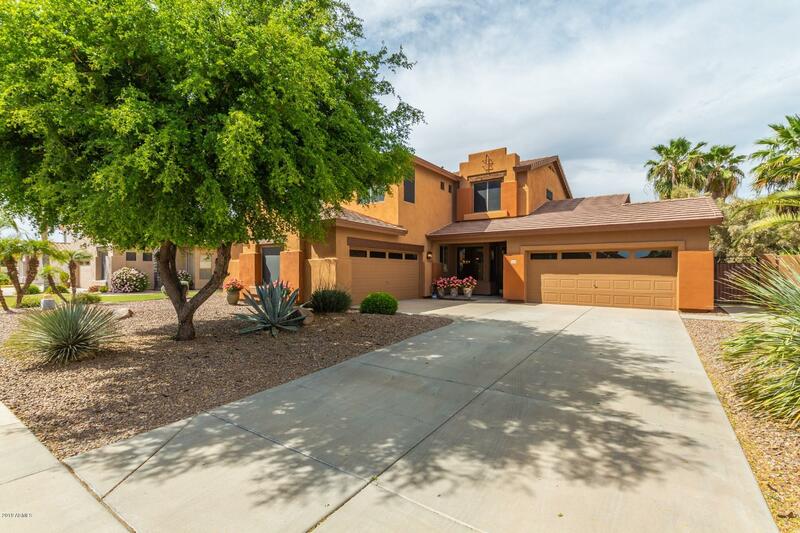 Manicured desert landscaping, covered patio, vast backyard, lush grass, storage shed, double gate and fire pit. Open interior, sky-high ceilings. Immaculate tile and minimal carpeting. Ultramodern, eat-in kitchen, complete with recessed lighting, granite countertops, island, and top-end, stainless steel appliances. 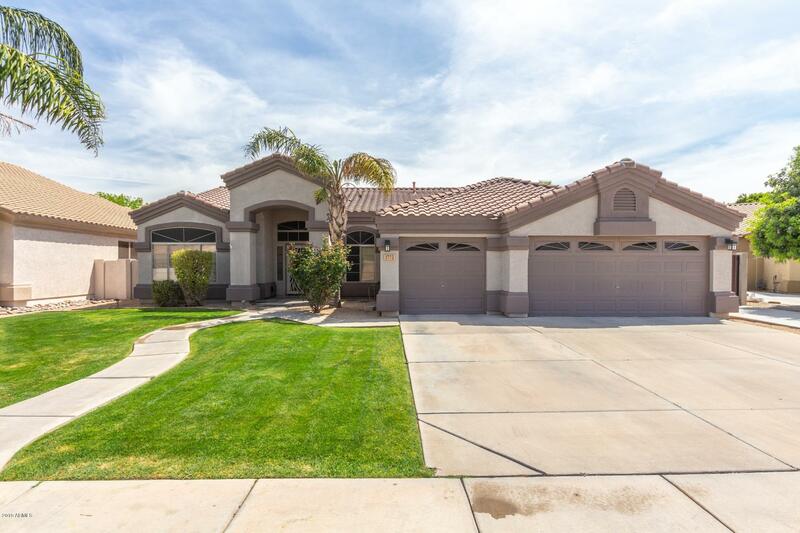 Spacious Fam"
"Carve out an incredible life in this stunning single story home that is nestled in the amazing city of Gilbert! Upon entering this home, you are greeted with soothing paint palettes, an open floor concept and lovely plush carpeting. 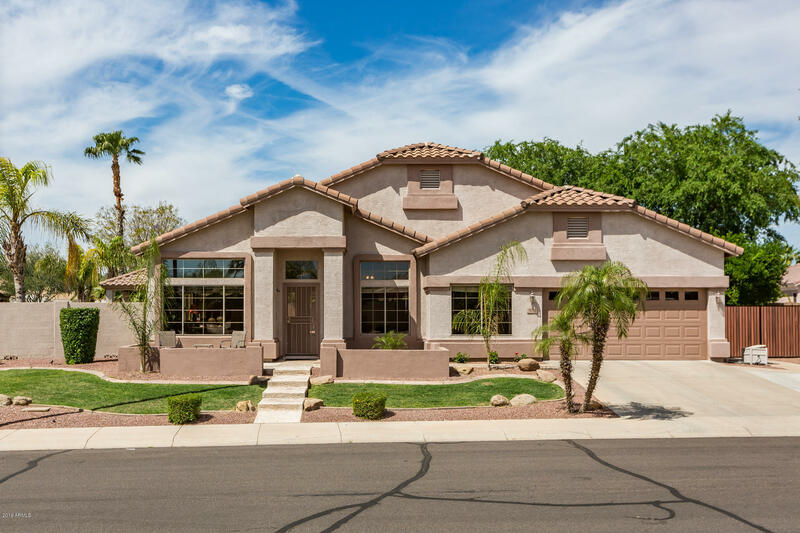 The island kitchen showcases plant shelving, home has smart lighting & thermostat, pantry, tiled backsplash, dual sinks, breakfast bar, gorgeous tile flooring and SS appliances! The spacious bedrooms offer plenty of room for sleep, study and storage. The master bathr"